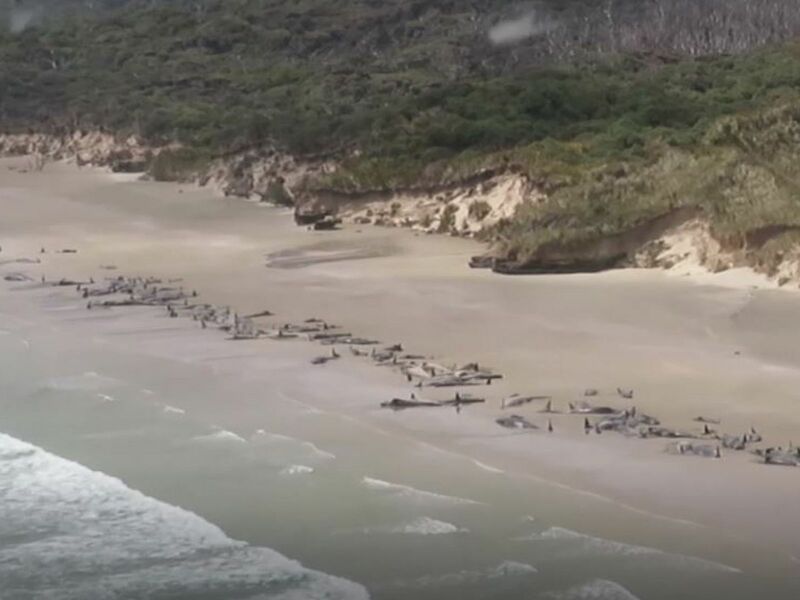 A group of up to 145 pilot whales have died after becoming stranded on a beach on Stewart Island in New Zealand. 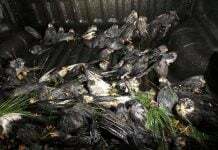 The animals were discovered by a walker late on Saturday, strewn along the beach of Mason Bay. 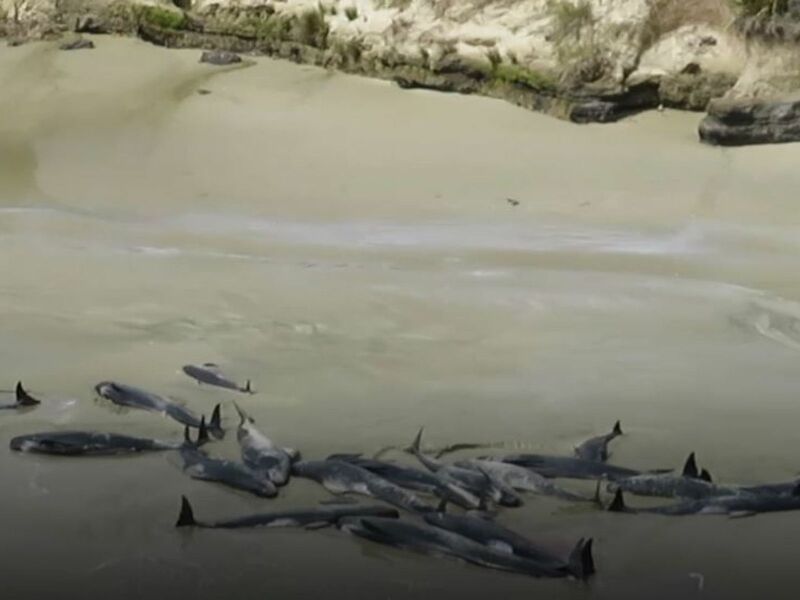 Authorities said half the whales had already died by then, while the other half were put down as it would have been too difficult to save them. 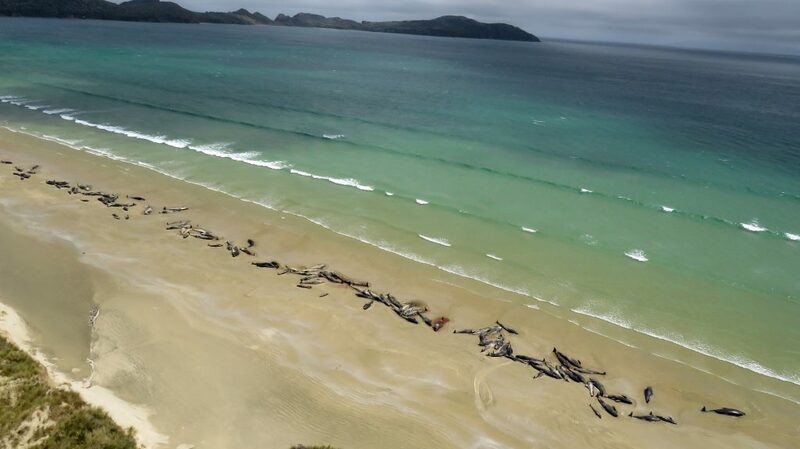 In separate incidents, 12 pygmy whales and a sperm whale also beached in New Zealand over the weekend. In this Sunday, Nov. 25, 2018 photo, pilot whales lie beached at Mason Bay, Rakiura on Stewart Island, New Zealand. As many as 145 pilot whales have died after the mass stranding which was discovered by a hiker on Saturday, Nov. 24, 2018. Picture by Department of Conservation of New Zealand. 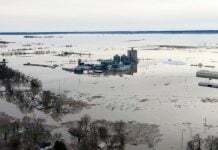 “Sadly, the likelihood of being able to successfully re-float the remaining whales was extremely low. The remote location, lack of nearby personnel and the whales’ deteriorating condition meant the most humane thing to do was to EUTHANIZE. 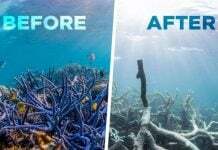 However, it’s always a heart-breaking decision to make,” Ren Leppens of the regional Department of Conservation (DOC) said in a statement. 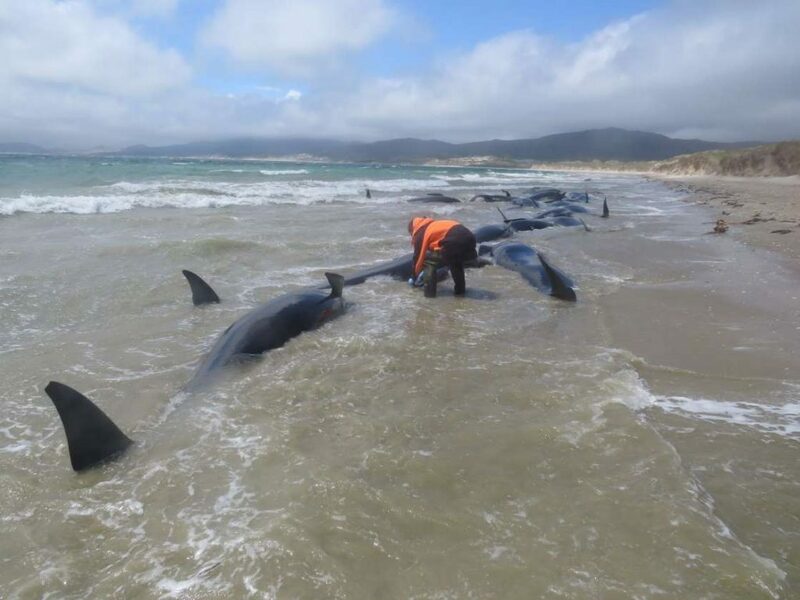 The DOC said in a statement that whale strandings are not uncommon in New Zealand and that there are about 85 incidents a year. In most cases, though, it’s just a single animal that is beached, not a whole pod. Also over the weekend, 12 pygmy whales were found stranded at the northern tip of North Island. Four of them have died. There are hopes that the remaining eight can still be rescued and efforts are under way by local marine mammal charity Project Jonah. On another North Island beach, a 15m (50ft) sperm whale died on Saturday morning. It’s not fully known why whales or dolphins strand. Possible reasons might be sickness, navigational errors, falling tides or being chased by a predator… BUT OFFICIALS ALWAYS FORGET TALKING ABOUT SONAR AND ARMY SECRET TESTINGS. It is possible that Reptilian military is killing dolphins and whales because dolphins and whales are members of Galactic Federation of Light. Many cats and bunnies had been EUTHANIZED just 2~3 days after they were saved from Paradise, California wild?FIRE. “They” do not have heart to keep those animals even for a month.